EAGLE, CO – Government access station Eagle County Government Television (ECGtv) provides local residents with news and information including board of county commissioner meetings, regional transit meetings, and programming highlighting life in the region. 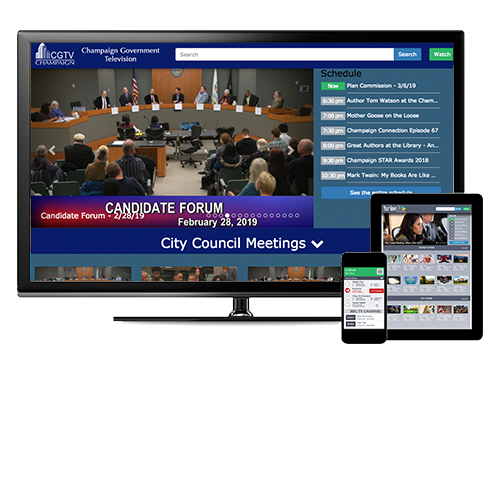 Like most PEG stations, a key aspect of reaching our community is bringing our content beyond our cable channel to online and OTT audiences via the web and mobile devices. We have been very happy users of Tightrope Media Systems’ Cablecast broadcast automation platform for many years, but until last year we had used a different vendor’s tools and services for encoding and delivering our live and on-demand streams. Frustrated with the video quality limitations and high costs of that other service, we switched to Tightrope’s cloud-based Cablecast Reflect streaming service in June 2016, and have since enjoyed significant time and cost savings. Working with systems integrator Media Control Systems, we deployed the Cablecast Reflect service in conjunction with Tightrope’s Cablecast Live and Cablecast Pro VOD solutions for encoding and delivering our online content. These tools all integrate seamlessly with our station’s core Cablecast system, enabling us to unify and simplify our operations for both traditional and online distribution. 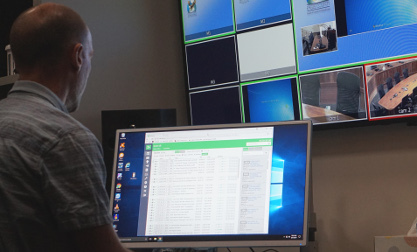 The workflow for publishing and delivering online content with Cablecast Reflect continues Tightrope’s signature ease of use, which is also what had first drawn us to the Cablecast automation system for our cable channel. When we add a program to our cable schedule, we simply check a box to indicate whether we also want it streamed live or published as VOD online. We can also optionally add VOD chapter marks. The Cablecast platform automatically encodes the content and publishes it to our website (www.ecgtv.com). Cablecast Reflect then intelligently caches the content to the cloud when it’s first requested, freeing up our local bandwidth while ensuring smooth delivery for a virtually unlimited number of viewers. 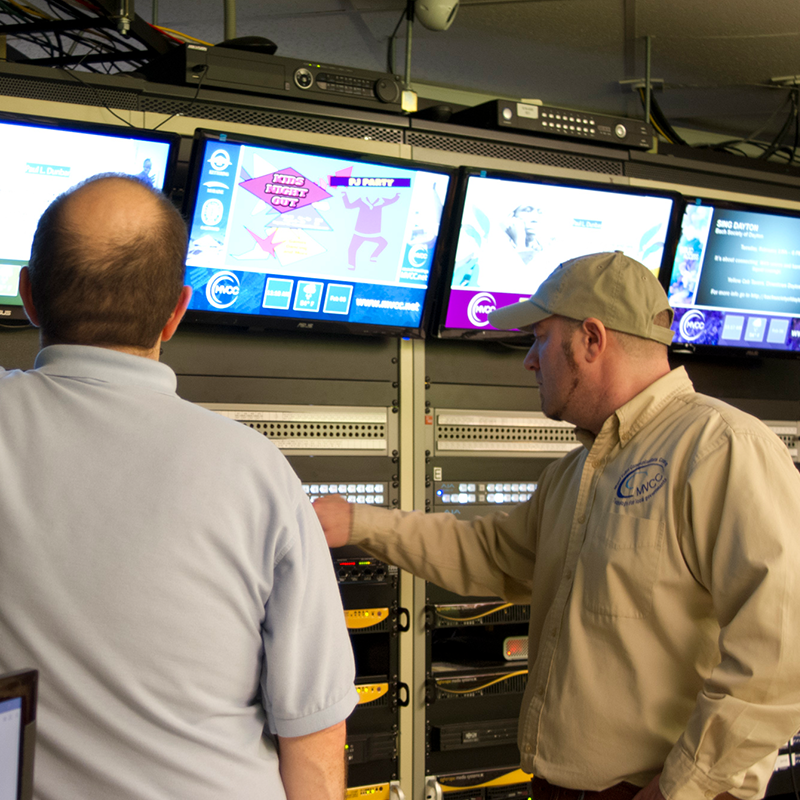 "...In a two-person shop like our station, every minute [counts]...[Cablecast] has delivered a 50% time savings for program scheduling versus our previous automation system." With our older streaming solution, we had separate broadcast and online workflows, which required a lot more work. In a two-person shop like our station, every minute you can save is definitely a big deal. Just as the overall Cablecast platform has delivered a 50% time savings for program scheduling versus our previous automation system, Tightrope’s integrated streaming workflow has also cut our time and effort in half for making our content available online. "...It is critical that [our viewers can watch] without issue. Cablecast Reflect works very well, delivering consistent and uninterrupted online viewing experiences every time – even when [demand is high]." Cablecast Reflect’s scalability gives us practically limitless viewer accessibility. 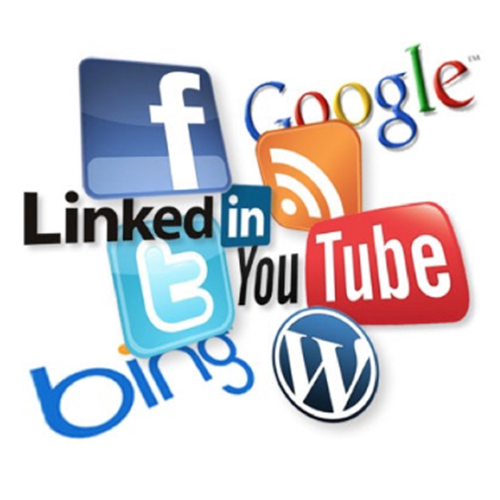 As a government organization, it is critical that anyone who wants to watch our content can do so without issue. Cablecast Reflect works very well, delivering consistent and uninterrupted online viewing experiences every time – even when demand for a video is high. We also used Cablecast’s included website design features and templates to build pages that are automatically populated with our videos. The intuitive tools made it easy to create pages that look consistent with the rest of our website without needing to use a development API, which we’d had to do with our previous system. As such, we did it ourselves without tasking our in-house programmer, which was a huge score for us. Once again, Tightrope has really thought about what PEG station operators need and what will make our lives easier, and they’ve created a product and service that efficiently satisfies everything we need to do.